Cowboy Bebop going live action! Wait, wasn't that called Firefly? 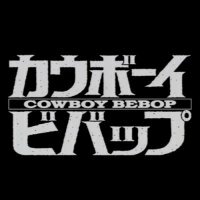 Erwin Stoff, one of the producers behind many big Hollywood flicks including A Scanner Darkly, Constantine, and a long list of complete garbage is reportedly working on developing a live action version of the much loved anime series Cowboy Bebop. I'm always quite vocal that I don't like anime except for a few things, and Bebop is one of them, so I'm wondering how they're going to pull this off? Seriously, shouldn't the Japanese be doing this? Let Kazuaki Kiriya do this! He'll be done with Goemon soon! On a more serious note, Firefly did rip this off, so if it were up to me, no more American remakes of Bebop, PLEASE! I don't think Firefly could have been any more obvious a rip off from Bebop. It's still the best thing Whedon's ever done, even if he's a biter. I am sorry, but cowboy bebop is nothing like serenity. The US really shouldn't touch it. Just look what happened to Dragonball.